When Should I Buy a New Bicycle Helmet? Do I Need to Replace My Child's Helmet More Often? Many people aren’t aware you must replace your bicycle helmet after any crash where you hit your head. The foam part of the helmet is only good for one major crash and must be replaced afterwards. Helmets are a simple piece of equipment but they are vital for your cycling safety. Each year about 2% of motor vehicle crash deaths are cyclists. That means two people lost their lives every day of the year in a cycling/motor vehicle accident. In the majority of bicyclist’s deaths, the most serious injuries were to the head. Statistics about head injuries resulting from cycling highlight the importance of wearing a helmet. But just because you wear a helmet doesn’t mean that you never need to replace it. A good rule of thumb to follow in regards to replacing your helmet is the five year rule. After five years with no major falls or crashes, replace your helmet. Of course, if you have fallen and your helmet has sustained a blow then you need to replace it. If there are any visible signs of cracks in the foam or helmet then you should replace your helmet. It’s that simple. Knowing when to replace your helmet is extremely important, especially in regards to children. Because children are more prone to fall off their bike than adults it is crucial that they not only they wear a helmet but that their helmet is going to be capable of minimizing the force of the impact. If the helmet has not been replaced after a crash then your child might not be as protected as you think. Cycling is fun and enjoyable but you still need to exercise caution in regards to safety. Make sure you and your children always wear a helmet when on a bike. If you can’t remember the last time you bought a new helmet then it is probably time to replace it. We want to make sure that you and your loved ones are safe while enjoying the fun of cycling. When you replace your helmet make sure to check out the new MIPs technology helmet which minimize the danger of a concussion. As a Renter in Florida, Should I Have Renters Insurance? The Insurance Information Institute reports only about 31% of renters nationwide have renter’s insurance. Many people have never heard of it, think they don’t need it or simply hope nothing will happen to them. In our office alone, we know two families who lost everything they owned when their rented house or apartment burned because they were not insured. When you rent a house or apartment the landlord will have a type of home owners policy which will protect them and the property; it will pay you nothing in the event of a loss. Renters insurance is cheap and will give you essentially the same protection you would have with homeowner’s insurance if you owned the property. Personal property protection. This covers everything you own in your apartment or house (except cars or boats.) Imagine what it would cost you to replace all your possessions after a fire; furniture and furnishings, appliances, clothing, gear, and more. It even protects your things lost or stolen while traveling. Personal liability protection. Liability insurance covers you if you accidentally hurt someone on or off your rented apartment or house. That’s right, it follows you wherever you go and protects you if you injure someone while riding your bicycle or when your kid hits a rock through a neighbor’s window. Emergency living expenses. When disaster happens the last thing you need to worry about is how to pay for a place to stay while your house or apartment is repaired or rebuilt. These kinds of expenses can be part of a renter’s policy. Although several companies also offer it, Allstate represents online this type of policy costs as little as $15 per month. If you aren’t covered, now is the time to do something about it. Should I Buy Rental Car Reimbursement On My Auto Insurance Policy? Absolutely. It is inexpensive and hugely convenient when you need it. Here’s why: very often after an accident caused by another driver, there is a delay of days or sometimes weeks before their insurance company can be determined or they accept responsibility for the crash. Many times the other driver fails to report the crash, or the driver does not have an insurance card at the time of the accident, or they are driving someone else’s car and do not know the owner's insurance company. Other times, the driver has no insurance or it was cancelled. These and other situations may delay having the driver’s insurance company provide you a rental, if there is an insurance company at all. We had a caller recently who was involved in an accident with someone in a rental vehicle who did not purchase the rental coverage. To make matters worse, the police did not give our caller enough information about the driver to reach them by phone. The driver was in Florida on vacation. Writing them would take time. Going through the rental company to get their information could easily take a week. Florida is brimming with rental cars this time of year. Having rental coverage allows you to get a car without paying out of pocket and it avoids a big hassle for you. The coverage probably costs less than $15-20 every six months and is well worth having. Why Shouldn’t I Hire an Out of State Attorney for My Florida Injury Case? By hiring an attorney who is not licensed to practice law in Florida, you are positioning yourself at an enormous disadvantage when it comes to negotiating a settlement with the insurance company. To file a lawsuit in Florida, attorneys must be licensed by the state of Florida. That means your out of state attorney cannot file a lawsuit for you without hiring a Florida attorney and the claims adjusters know this. You are also entrusting the outcome of your case to someone who may not know Florida law. The rules for filing documents, disclosing photographs and documents and even your rights as someone who was injured are different in Florida. Imagine how upsetting it would be to lose your chance at a recovery because your attorney from back home didn’t know the law in Florida that controlled whether you had a claim or not. How Will I Communicate with an Attorney in Florida if I Live in Another State? We believe communication is the key to fantastic legal representation. By getting to know our clients we pick up on details that seem minute, but can make a world of a difference when drafting a settlement package or negotiating with the insurance company. That being said, according to surveys by the Florida Bar, the biggest complaint clients have with attorneys is not returning their phone calls. In contrast, we promise every client in writing we will return every call promptly, never longer than 24 hours from their initial call. Our office takes advantage of technology to keep in touch with our long distance clients. In fact, many clients who live close to our office prefer to use email and phone as primary means of communication even though they live just minutes away. You see, hiring a lawyer who lives around the block doesn’t do any good if he or she doesn’t answer the phone when you call. We make sure to be available and responsive throughout your entire representation. Living in another state doesn’t change a thing. No matter where you live, you will get our full attention. You don’t have to take our word on this. Our clients say it best. Check out our testimonials about how our clients feel they were treated. Can You Take My Florida Accident Case if I Live in a Different City or State? Yes. Whether you were on vacation in Florida or here on a business trip, if you were injured in a Florida accident you need an experienced Florida attorney. We can represent you regardless of where you live. In fact, we often represent clients who live across the state, in other states and even in other countries! Every accident, whether it is a motor vehicle accident involving bicyclists, motorcyclists or pedestrians, involves a special set of circumstances. Some of our clients are too injured to visit us in the office so we meet them in their homes, while others prefer electronic communication. Distance is never a factor when it comes to your representation. How Can An MRI Be Used To Diagnose My Brain Injury? 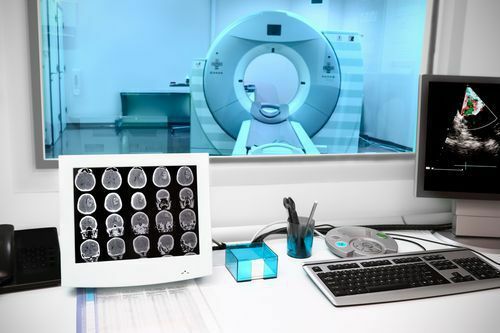 Magnetic Resonance Imaging (MRI) tests are used to create pictures of the brain (and other parts of the body) without the need for invasive procedures. There are many ways MRIs can help doctors diagnose, evaluate and monitor brain injuries because they give detailed information that does not show up on CT scans or X-rays. In a standard MRI (whether open, closed or wide-bore) you lay still on the table throughout the entire test. This allows doctors to see the structure of your brain. A contrast material is used in some instances to emphasize certain parts of the brain more clearly. Different contrasts do different things - some show blood flow, others show infections or tumors - depending on why you are having an MRI. Functional MRIs or fMRIs help doctors visualize brain function as you perform certain activities. For example, you may be asked to tap your fingers, speak or listen. As you do each activity a different part of your brain will light up. This allows doctors to evaluate how your brain has been affected by injury or trauma. A special type of MRI called Diffusion Tensor Imaging (DTI) or diffusion MRI shows how water travels along the white matter in your brain. White matter works like telephone wires to transmit communication between different parts of the brain. Sometimes when the white matter is damaged, information will reroute and find a new way to relay the messages within the brain. Other times, the messages are completely lost along the pathway. Because white matter is made up of axons, DTI allows doctors to detect axonal damage (often referred to as diffuse axonal injury) based on abnormal pathways and microbleeds. Standard MRIs do not provide this degree of detail. 3D MRIs allow doctors to rotate the brain and visualize the many parts of the brain in relation to one another. They are better for monitoring growth of tumors and cysts and examining blood flow in many directions. This makes them better for visualizing the intricacies of the brain with its many tiny parts. 3D MRIs are created by taking 2D slices from various angles and combining the pieces to form a single 3D image of the brain. MRIs can help doctors determine the cause of headaches, diagnose a stroke, check for water in the brain, check and monitor tumors, cysts and infections, and check for symptoms of head injuries. DTI and fMRIs allow doctors to see beyond the structure of the brain and tissue to see how injuries are actually impacting your cognitive functions. In many serious brain cases, you may have the fMRI and the diffusion MRI done at the same time so your doctors can combine the data and get the most accurate picture of your brain functions and impairment. This allows them to create more specific treatment plans and better monitor your progress. 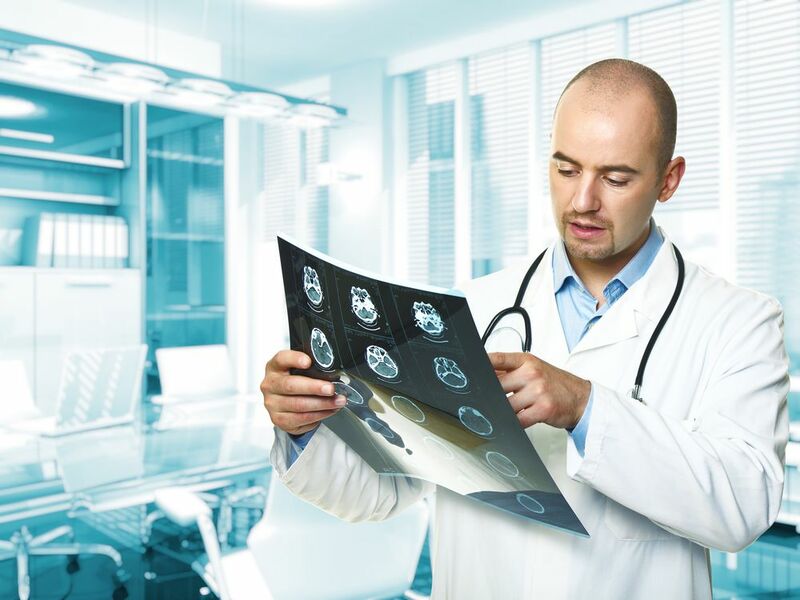 In order to have a legitimate medical malpractice claim, your surgeon or doctor had to have been grossly negligent in reading and understanding the results of your MRI. Also, a medical malpractice case must have a witness, an expert in the medical field or related area, that is willing to testify on your behalf. Without one there is no chance of trying, let alone winning, your case. There is a huge misconception regarding the simplistic nature of winning a medical malpractice claim. There is a lot at stake for the doctor or surgeon making a medical malpractice case very, very complex. They are not going to simply settle in order to keep the case from going to court. Accusations of medical malpractice can ruin a medical care practitioner's reputation and career. They will be more than willing to go to court in order to protect their themselves and definitely don't take medical malpractice accusations lightly. If you don't have a claim of negligence that can be proven you simply don't have a medical malpractice claim. Traumatic head and brain injuries can leave someone with a lifetime of potentially serious side effects, and sadly, a full recovery isn't always possible for everyone. Learn more about the long term effects of brain injuries in this free guidebook: The Layman's Guide to Brain Injuries. It may be possible to recover compensation for your injury, but you'll need a personal injury attorney with experience handling brain injury claims. Jim Dodson is just such an attorney. Serving all of Florida from several offices, Jim will fight for your rights if you've suffered a brain injury. What is a SPECT Scan and How is it Used to Diagnose a Brain Injury? SPECT scans are extremely useful in the diagnosis process because they allow doctors to see blood flow inside your body. This is essential when it comes to diagnosing brain injuries because each part of the brain handles different cognitive functions and tasks. SPECT scans help identify problem areas in the brain based on blood flow because damaged brain tissue typically uses less blood than healthy tissue. You will receive a radioactive tracer shortly before the scan. The tracer stays in your blood, lighting it up for the scanner. Areas of the brain with heavier blood flow show up as darker colors while areas with less blood flow show up lighter and brighter on the images. By monitoring blood flow within the brain, doctors can spot areas with less than normal blood flow and compare them with your symptoms to locate the damaged part of your brain and diagnose your injury. SPECT scans are more sensitive to brain injury than both MRI and CT scans, while the cost is roughly the same as an MRI. Often, lesions apparent on an MRI or CT scan show up much smaller than the same lesion when viewed on a SPECT scan. In cases where you have a ‘normal’ reading on an MRI or CT scan but are still suffering from serious brain damage, a SPECT scan is more likely to identify the problem. Because standard MRIs and CT scans show the structure of the brain and not the functions, they are limited in their findings of nerve damage. As a matter of fact, we are currently helping a client with a brain injury who had a negative MRI and soft tissue swelling on a CT, but upon having a SPECT scan was found to have multiple abnormalities and areas of decreased blood flow. Among other side effects, he is suffering from short term memory loss, depression, narcolepsy and blurred vision. Many recent studies urge the importance of SPECT scans done on people with brain injuries because of the known limitations of other imaging tests. Brain injuries are often serious, and can have significant long term effects on health and well being. If you or someone you know has suffered head trauma, you may benefit from speaking with experienced brain injury attorney Jim Dodson. We have offices throughout central Florida, and are headquartered in Clearwater to provide accident victims the best possible representation. Learn more about the true consequences of traumatic brain injuries by downloading our free guidebook The Layman's Guide to Brain Injuries, or request a free, no-obligation consultation by calling 727-446-0840 today.